She is an American singer and actress. Her first and second studio albums, ...Baby One More Time (1999) and Oops!... I Did It Again (2000), became international successes, with the former becoming the best-selling album by a teenage solo artist. Title tracks "...Baby One More Time" and "Oops!... I Did It Again" broke international sales records. In 2001, Spears released her self-titled third studio album, Britney, and played the starring role in the film Crossroads (2002). She assumed creative control of her fourth studio album, In the Zone (2003), which yielded the worldwide success of the "Toxic" single. 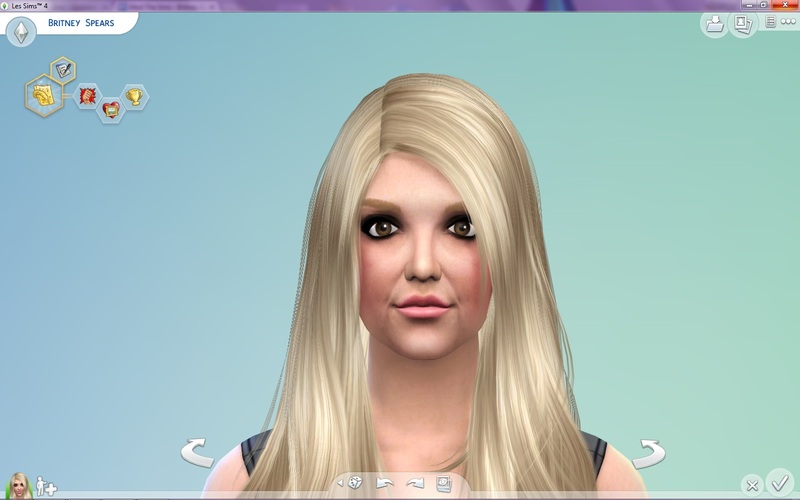 The custom face is a seperate file ("Britney Skin Details") and it can be found under the skin details section. It was based on a real picture and it's not a face mask, so it means that you can change her make up as you want. 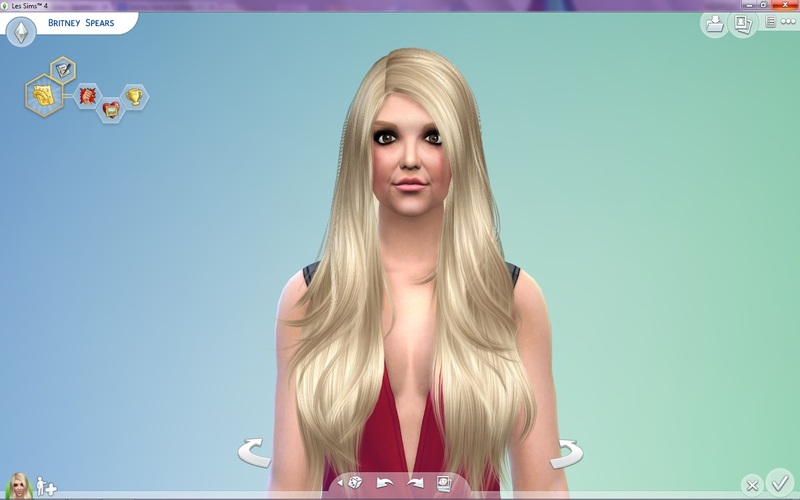 Put all the files in the Documents/The Sims 4/Tray folder, except the "Britney Skin Details" one that goes to the "Mods" folder.